From leaves to liquids, caves to crystal formations, nature has always been a major source of inspiration for architects. This book examines how nature can act as a precedent for design solutions through twelve case studies. Packed with computer drawings, sketches, models and photographs, this will be an ideal resource of ideas for students in their studio work, as well as for practising architects. 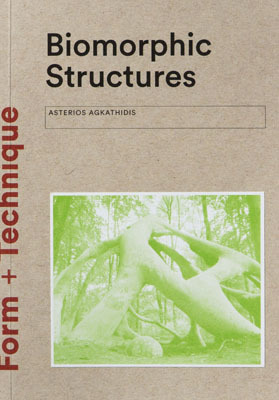 Asterios Agkathidis is Lecturer in Digital Design at the Liverpool School of Architecture. He is the author of numerous publications, including Modular Structures (2009), Computational Architecture (2012) and Generative Design (Laurence King, 2016).